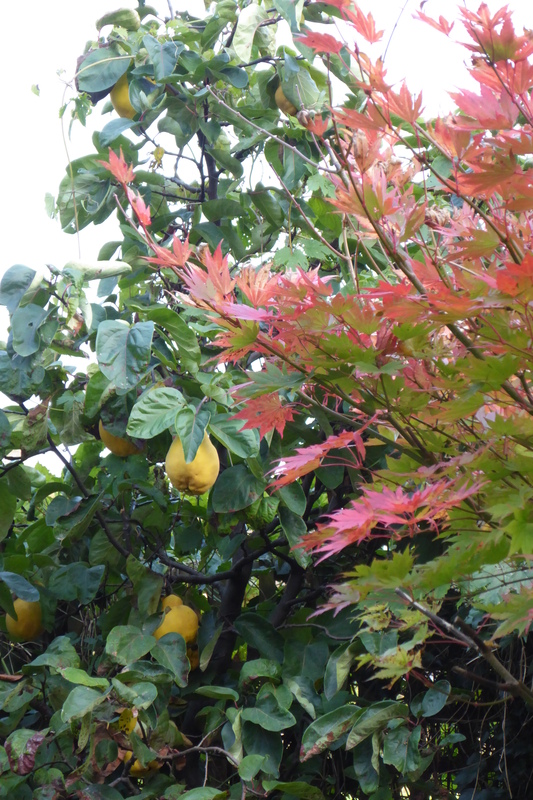 An Autumnal round-up – better late than never! 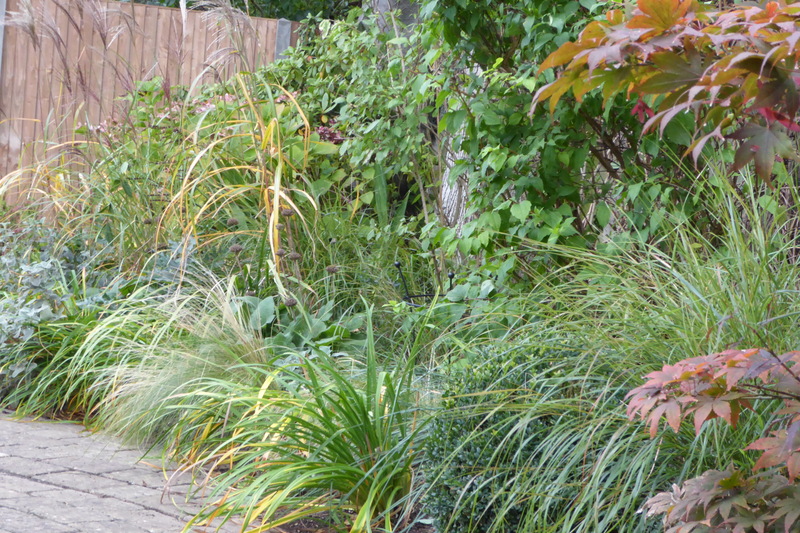 I can hardly believe that the last time I posted was in the week of Chelsea Flower Show, but it is true! 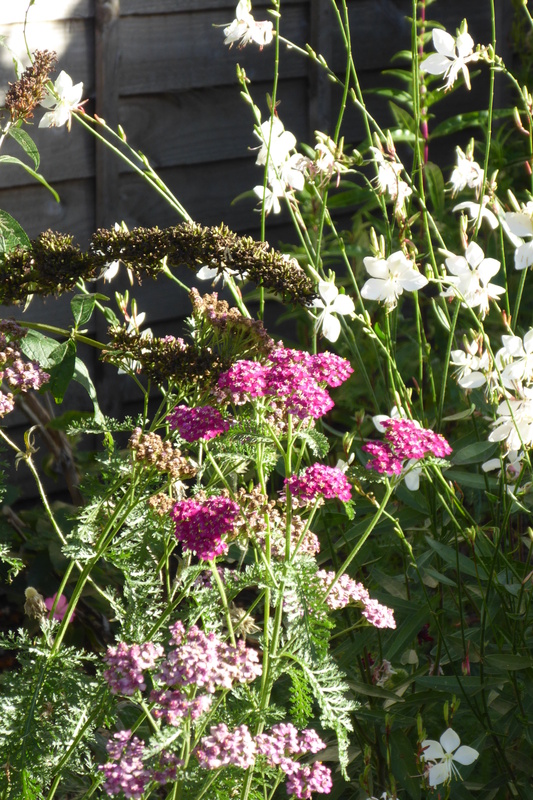 It’s been a very long time since I have had any time to write my blog as I have been very busy gardening for a growing number of clients. 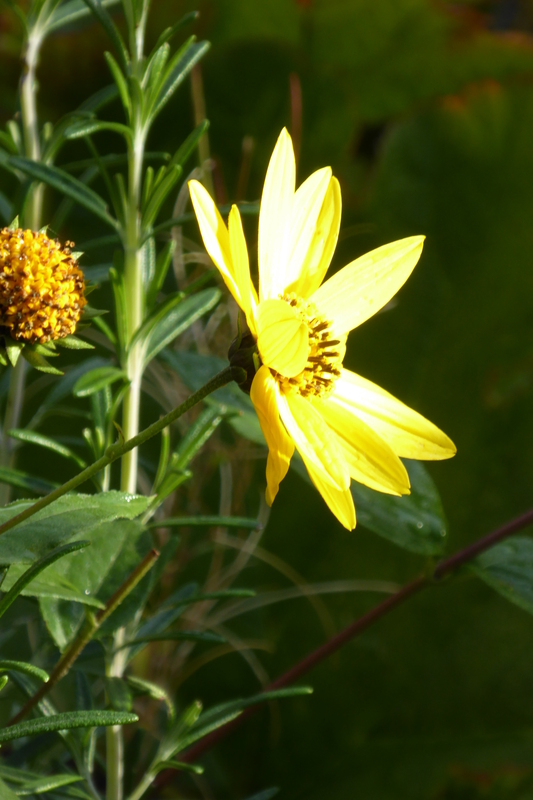 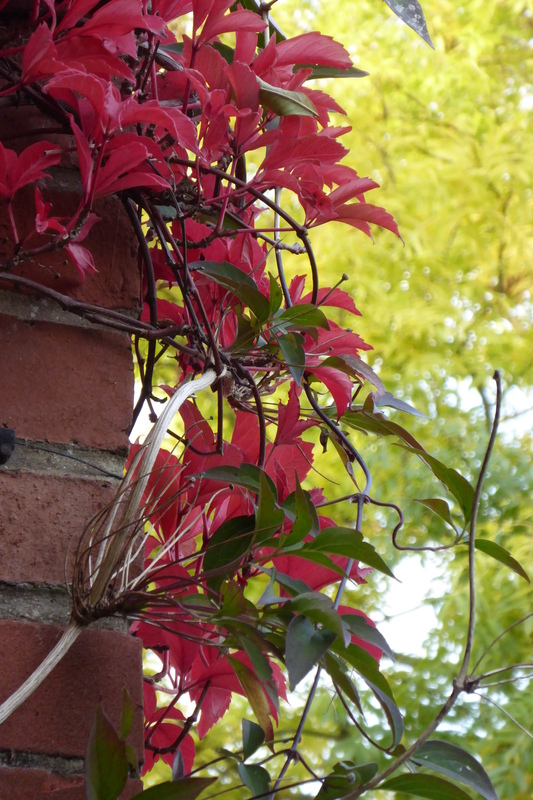 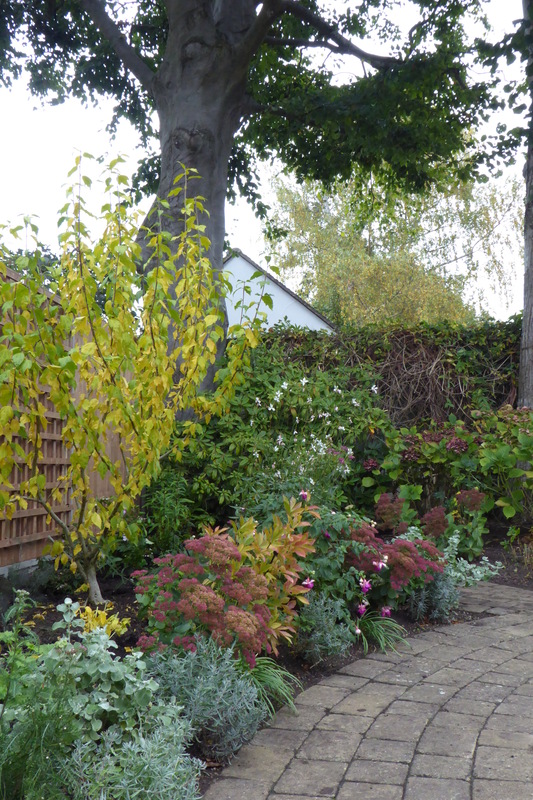 It has been great gardening weather this summer and autumn, so here are some highlights. 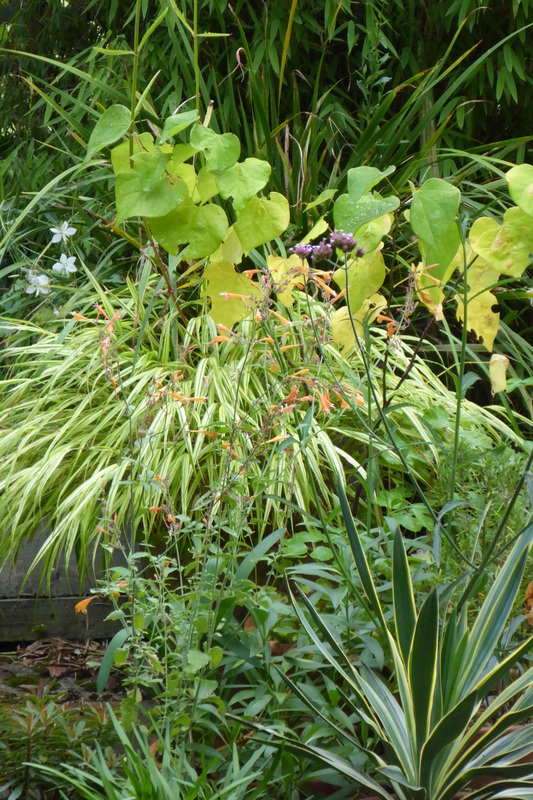 At Client #2’s garden everything is taking on a happy maturity. 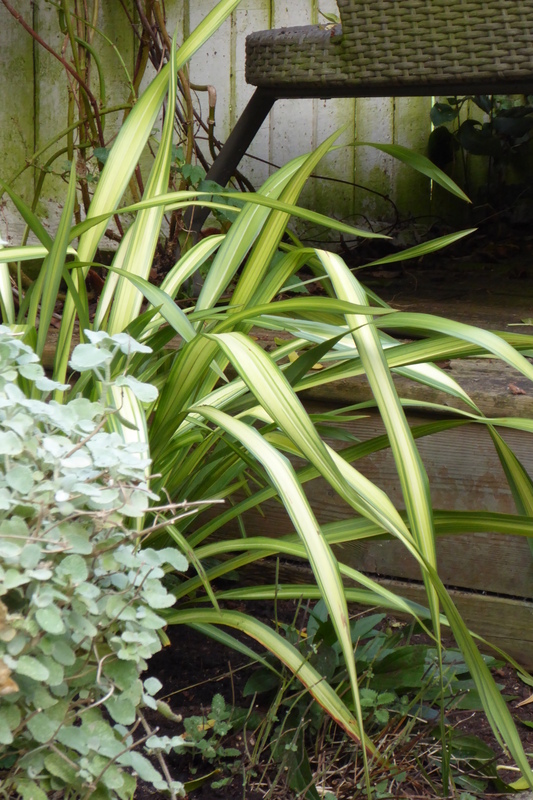 Here in the west-facing semi-shade bed Carex ‘Ice Dance’, Heuchera, a Japanese Shield fern, Pachysandra and Alchemilla mollis, with a backing of variegated ivy, makes a pleasing composition of tranquil lush greens and mellow yellows. 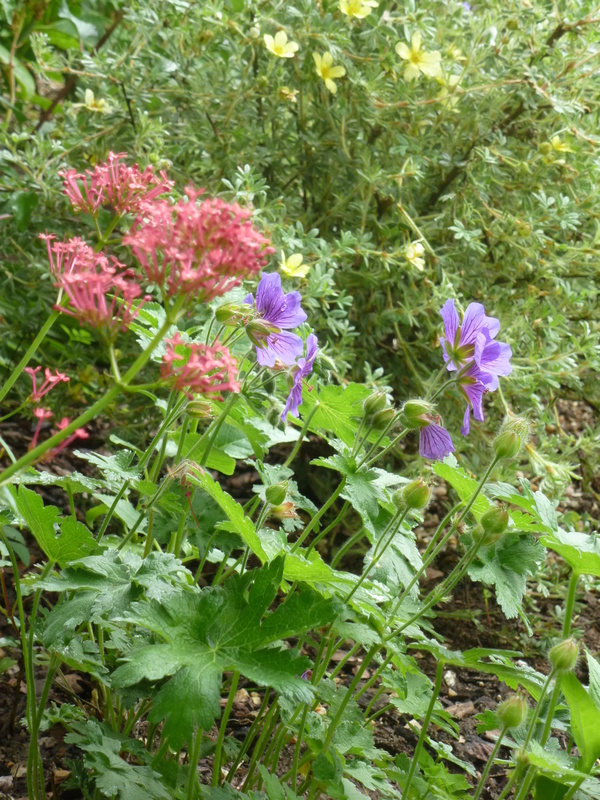 In the east-facing bed a tough Valerian blends nicely with a blue hardy geranium (split into five newly invigorated clumps in the Spring from a huge congested plant) and a Cistus – all three very resilient plants for a sunny bed. 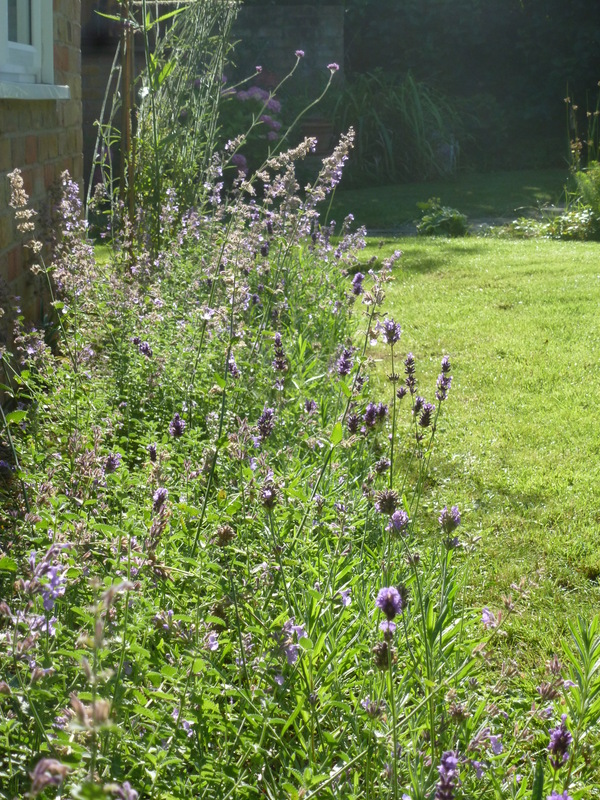 The south-facing lavender and catmint bed did very well, against a wall, where I have also planted 20 Nerines, which over the years will clump up and produce a lovely September show as their favourite place is the base of a sun-baked wall. 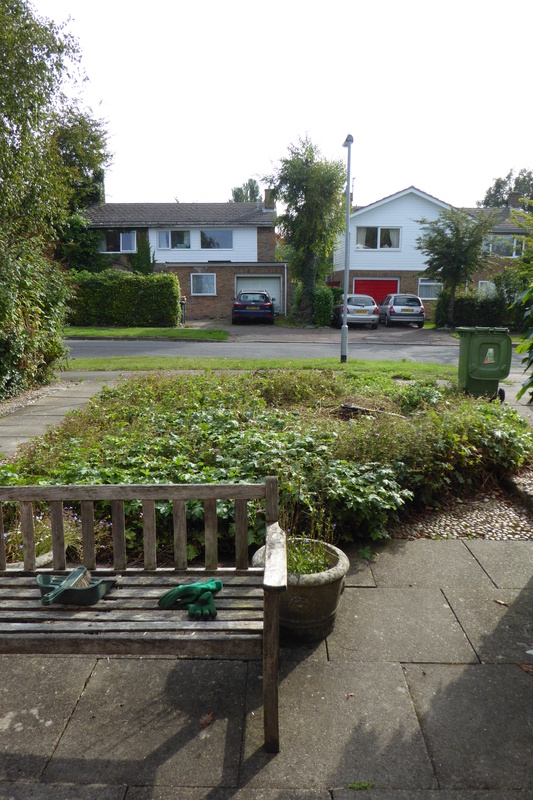 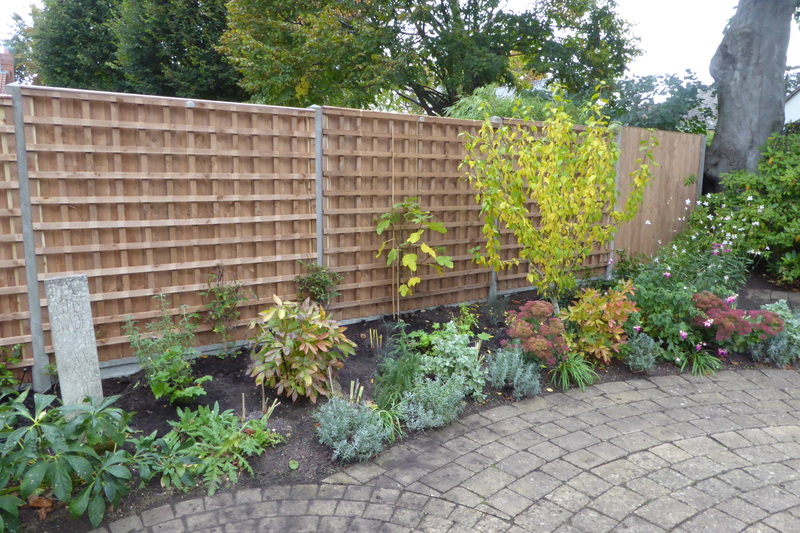 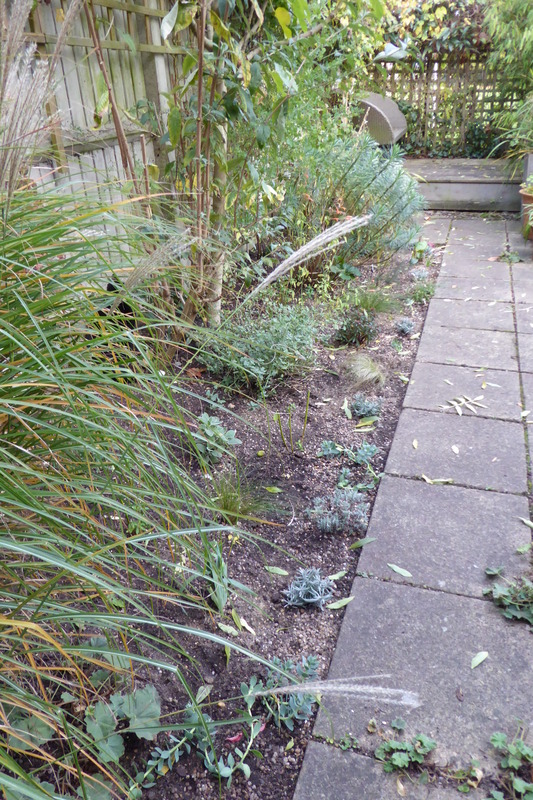 The substantial project of re-planting Client #4’s garden has been progressing well, with all new planting in two of the three large beds planted by the end of May, and the remaining third bed fully planted up last week. 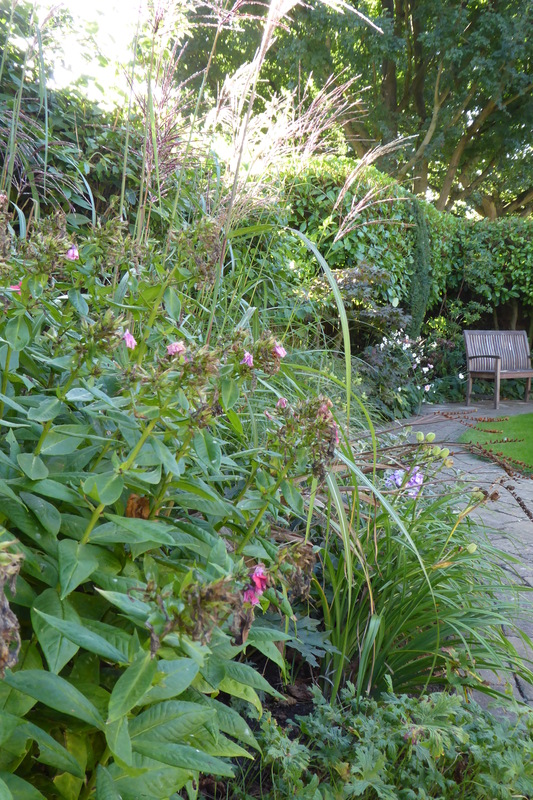 The Romantic south-facing border had its front areas planted in May with lavenders, sedums and Agapanthus, and this pleasing partnership of Achillea ‘Cerise Queen’ and Gaura ‘Whirling butterflies’ seen here..
And the interior of the bed was planted up this October with bearded iris, japanese anemones, peonies and Cistus, Viburnum tinus and Abelia, against a very smart new fence. 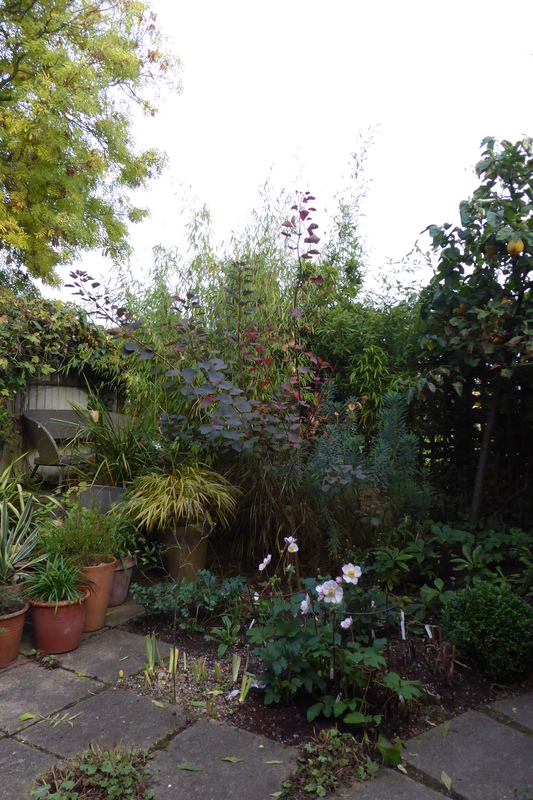 In my own garden there have been some great performing plants over the summer and autumn. 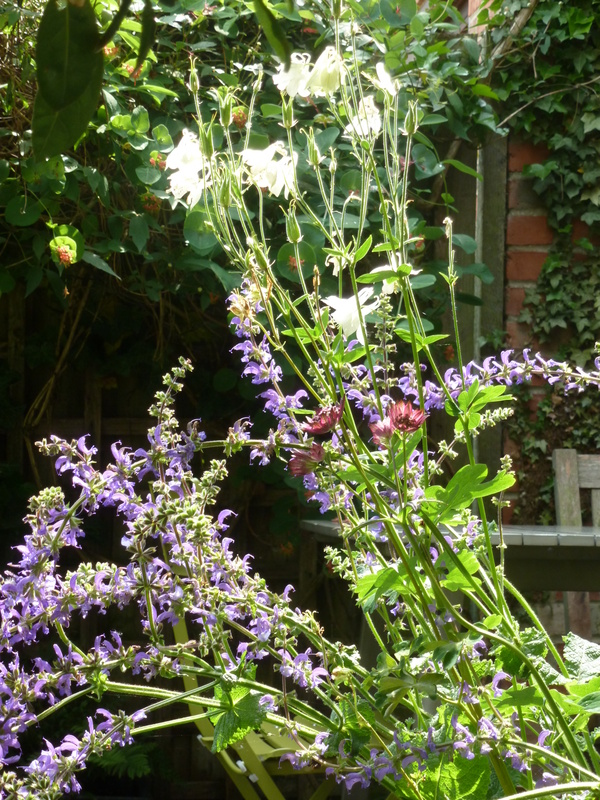 Salvia and Astrantia have done well in a large pot in semi-shade, flowering almost continuously from June until this week…. 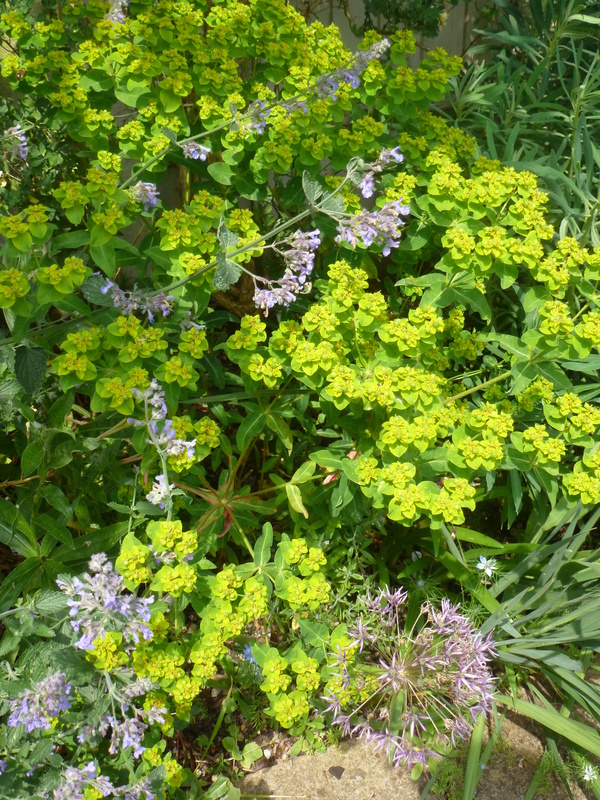 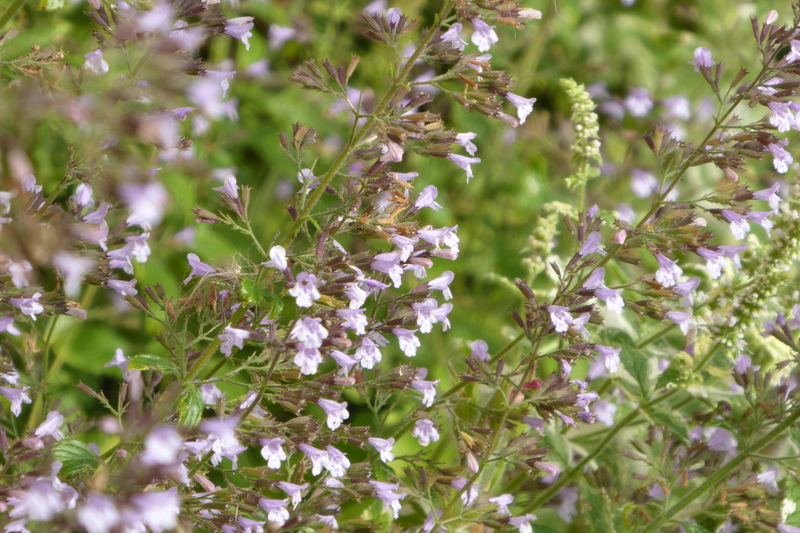 and the Calamintha nepeta has done very well flowering for months and months on my balcony, beloved of the bees (I read about this plant in Noel Kingsbury’s book on the Lurie Garden in Chicago, where they said it was a great performing bee magnet). 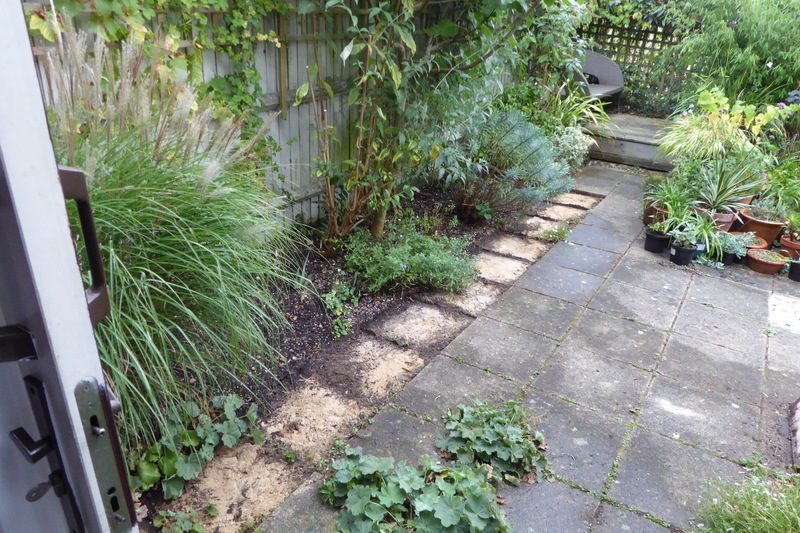 I look forward to seeing how these two beds do with their new plantings. 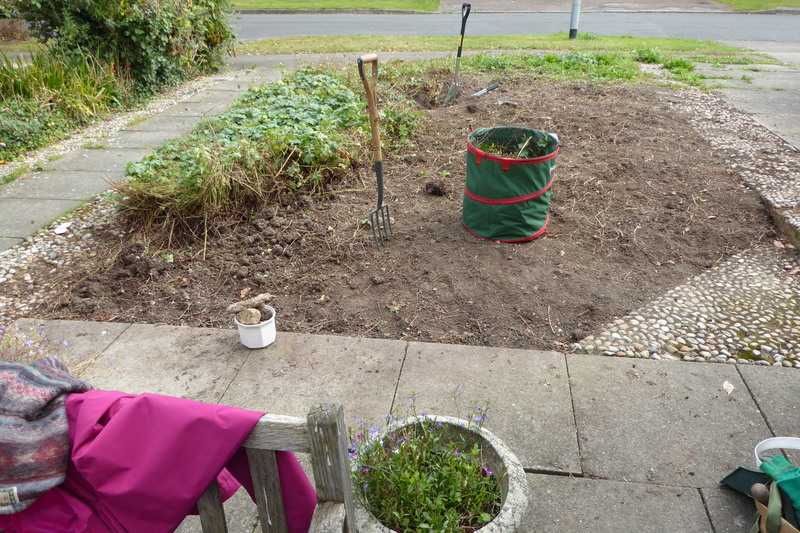 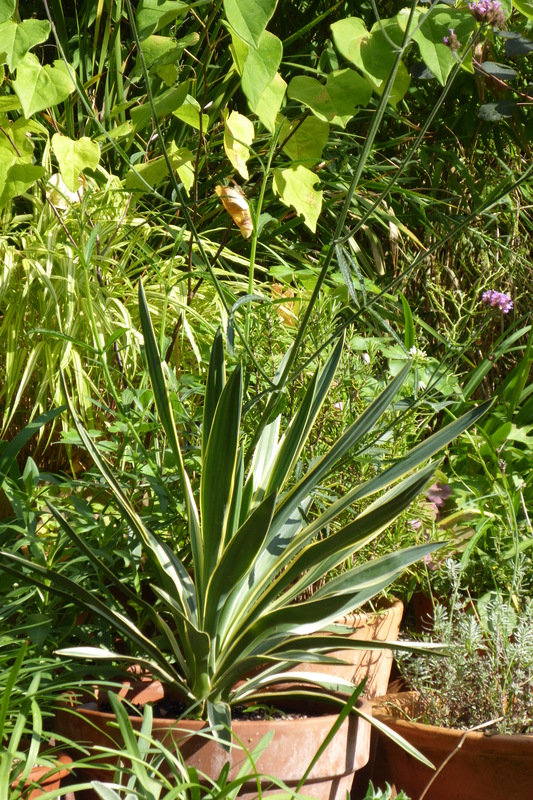 My Phormium, which has been living in a pot, is finally planted…. 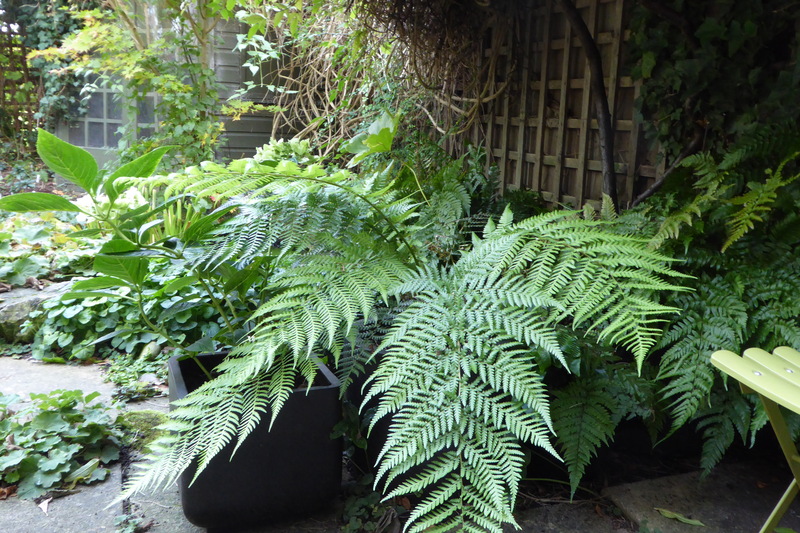 And my Tree Fern, has settled in well, planted in a pot as a tiny baby twig of a plant at the start of the summer, and now looking quite lush. 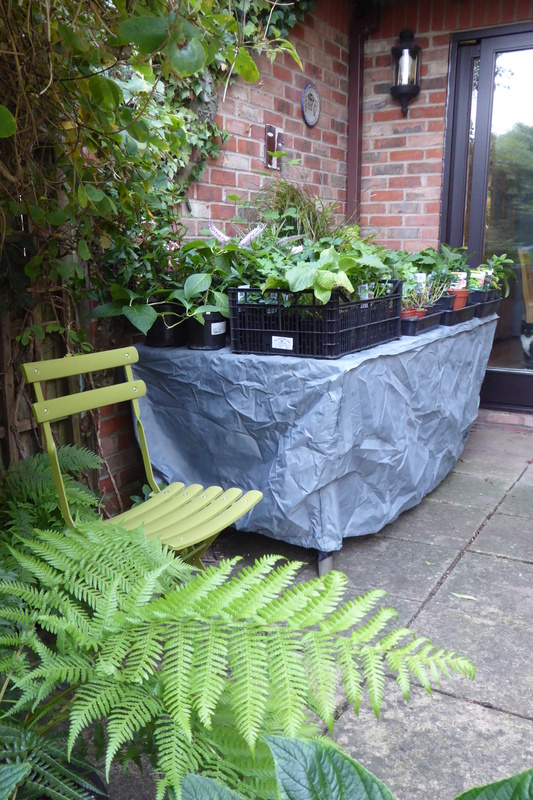 my table is building up once again with more plants for new Client #9’s garden project which is just about to be planted up, so I hope to report on that next time I write. 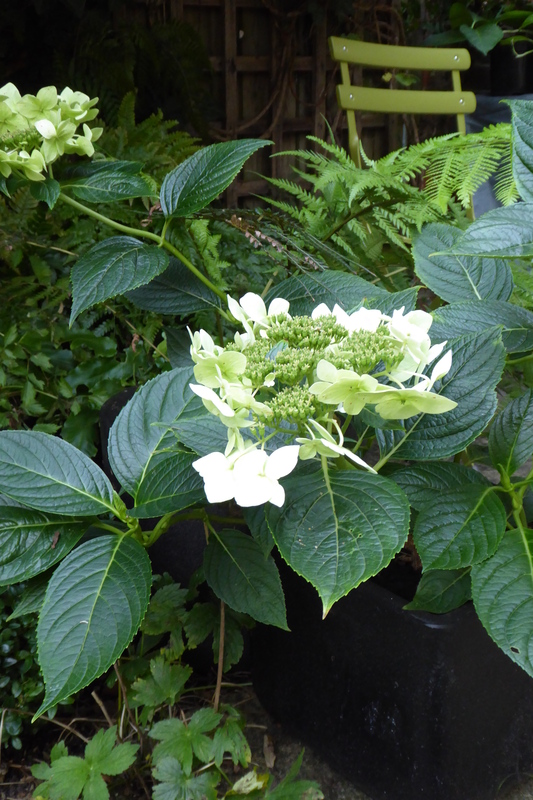 Which my Mother has now given me back a cutting from – still flowering in my garden this week – the circle of horticulture goes ever on! 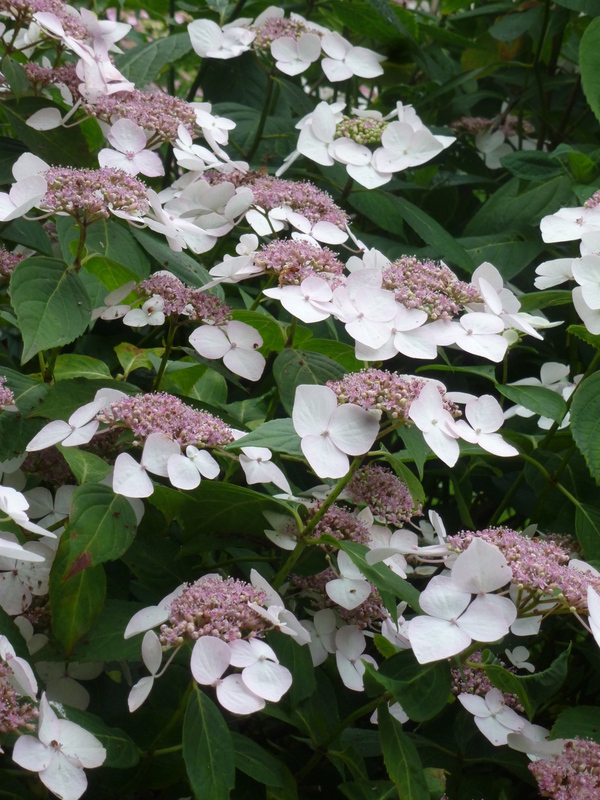 Categories: Autumn planting, September perennials, Shade plants, Uncategorized | Permalink.